Seven out of 10 Britons back The Independent on Sunday's call for a phased withdrawal of troops from Afghanistan as a landmark report by Oxfam this week exposes the real human cost of the war. The powerful dossier by the aid agency reveals how women and children in Afghanistan are bearing the brunt of the ongoing conflict, undermining the international community's claims that they are the very people being helped by the West's activities. Its contents will add to mounting concerns among the public, and in some quarters of the military and the House of Commons, that the US and the UK are fighting an ill-conceived and ill-judged war that has left as many as 32,000 Afghans dead and 235,000 displaced. In a ComRes poll for the IoS this weekend, an overwhelming proportion – 71 per cent – supported this newspaper's call for a phased withdrawal of British forces from Afghanistan within a year or so, while just 22 per cent disagreed. Nearly half – 47 per cent – think that the threat of terrorism on UK soil is increased by British forces remaining in Afghanistan, while 44 per cent disagree. The position is at odds with the argument put by government ministers that the Afghan campaign was vital to preventing terrorism around the world – and in the UK. Douglas Alexander, the Secretary of State for International Development, last night told the IoS that UK forces must remain in Afghanistan to prevent it becoming a "safe haven" for al-Qa'ida, and exporting terror to places including Britain. Oxfam's report, published on Wednesday, comes at a critical time in Kabul, London and Washington, as politicians and generals decide whether more troops should be sent to fight the Taliban. President Barack Obama said on Friday a decision would be made "soon" on whether to agree to the request of US commander General Stanley McChrystal for 40,000 more soldiers. The President has been urged by the US ambassador to Kabul, Karl Eikenberry, to resist a surge, because President Hamid Karzai's government lacks legitimacy. Mr Brown will set out Britain's long-term strategy in Afghanistan in a speech at the Lord Mayor's Banquet in London tomorrow. Britain has 9,000 troops in Afghanistan and Mr Brown has already agreed to send a further 500. But there were signs this weekend that cabinet unity is starting to fracture over the conflict, with Peter Hain, Secretary of State for Wales, telling The Times that the Government needed to "get a grip" on the mission strategy. Andy Burnham and John Denham were also said to be expressing doubts. The IoS poll revealed that 46 per cent believed that Mr Brown has handled the issue of Afghanistan better than David Cameron would do as PM, while 39 per cent backed the Tory leader. Oxfam does not advocate a withdrawal from Afghanistan, but its report, The Cost of War in Afghanistan, amounts to a forceful indictment of the mission. It is expected to reflect a catalogue of evidence that ordinary Afghans are paying a heavy price after eight years of war. Researchers for Oxfam spoke to more than 700 Afghans in 14 provinces, who provided powerful testimonies. Shamsullah, in Balkh province, said: "Families sell their daughters for money to save the other members of the family from starvation." Mirwais in Herat said: "Illiteracy, forced marriages and all other domestic violence are the consequences of the war on women." And Noor Mohammad, from Nangarhar, said: "There are lots of differences between now and the past. But one thing that is the same is the bombing. Before it was the Russians, but now it is the Americans." The wide-ranging evaluation of the lives of Afghans lists daily challenges, including the threat of lethal attacks from all sides, unemployment, poor education and healthcare, discrimination and violence against women. It echoes other official research, collated by the IoS. Various casualty counts suggest that between 12,000 and 32,000 civilians have been killed either directly or indirectly due to the fighting since 2001. The United Nations has said the "surge" in fighting in recent months has also taken its toll on the non-military population. More than 2,000 had died as a result of the conflict in the first 10 months of this year – at a faster rate than any time since the initial invasion. The number of botched Nato air strikes, killing civilians, is continuing to rise. Latest UN figures for the first half of this year alone report 40 rogue air strikes, which are believed to have killed 200 civilians. The figure compares with the 116 Afghan civilians killed in 13 aerial strikes in 2006, and 321 in 22 attacks the following year. In 2008, 552 were killed. The total number of "internally displaced persons" is rising for the first time since 2001. More than eight years after the war began, the country's literacy rate is still the fourth-lowest in the world, and almost half of all children between seven and 12 are not attending primary school. The British government has spent at least £12bn on the war so far. Some 232 British troops have been killed since combat operations began. Mr Alexander, a close ally of the Prime Minister, said Britain's national security was behind the mission to stabilise Afghanistan. He added: "Progress on weakening the Taliban and strengthening the Afghan state will create the conditions for a new political settlement in the country. "Delivering on these objectives will neither be quick nor easy, despite the outstanding heroism of our troops. 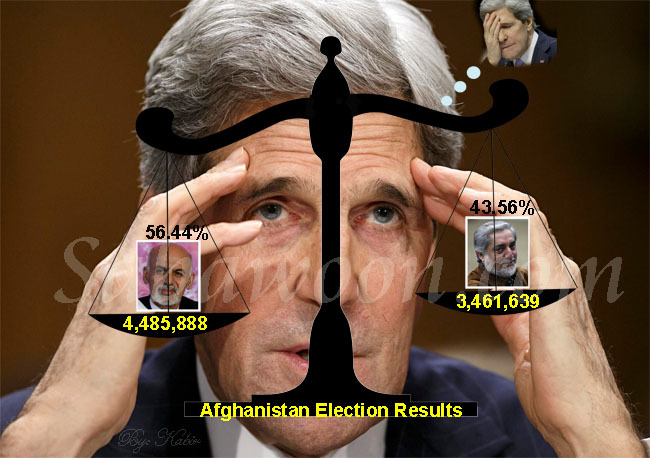 It requires political leadership within Afghanistan and co-ordinated efforts by the international community. What is at stake, however, is not simply a stronger Afghanistan but a safer Britain." 1. Send between 10,000 and 15,000 extra troops to augment the 68,000 US military on the ground now. Vice-president Joe Biden – a long-time supporter of counter-terrorist, as opposed to counter-insurgency, measures – favours this option. 2. Send 20,000 more troops. This, together with Option 3, is the so-called McChrystal-lite scenario. 3. Send 30,000 more troops. 4. Send 40,000 more troops, as General McChrystal wants. The danger is that it could give other, less committed members of the coalition all the excuse they need to pull out. "I lost my husband in a suicide attack. He was killed when he was riding a motorcycle. We had moved to Peshawar, in Pakistan, where we lived in poverty. We came back to our country when we thought it was safe. Now I am a widow and my children are fatherless. "When the fighting increased during the civil war, we migrated to near Jalalabad. We spent three years living in tents. Then we spent another two years in the main city and things were very hard. Then we had to move again, to Pakistan, before coming here. "Now the war continues because of outsiders who don't let us live in peace. We spend day and night in fear. We are always afraid that there will be an explosion. We wonder, will our children come home from school? Mostly poor people's rights have been violated. Poverty is extreme in Afghanistan. My own children have been deprived of the right to education. We are in need of food. There are no jobs for our young generation. There is no life for them. If people are jobless, they will commit crimes like kidnapping, killing. They become suicide bombers, and destroy our country." "Year by year, the security situation has become worse and suicide attacks have spread. We have suffered for a very long time. We have very bad memories from the Taliban period. I still can't understand why they hated us. They called themselves Muslims, but they burnt our homes. "I know a person that loaded his donkey with food. The Taliban asked him what he was carrying. He explained that he had brought food for his children. But these cruel people threw fuel on the donkey and burnt him alive along with the food. "When the American war against the Taliban took place, we were optimistic. We thought that Allah was bringing us light after darkness. Now, during the time of Karzai we know that the security situation has got worse instead of better. The government should not focus on building their own wealth. It should think of reconstructing our country." "I lost my youngest son to a rocket attack. He was 18 years old. Our house was looted and destroyed in the war. We had to leave with just some clothes. We went to Kandahar and settled in Nasaji City. "All people suffer during war but women and children suffer the most. When the Taliban came, all of the schools were closed for women. Nobody could leave their homes to work. We went to Pakistan until we were convinced that our country was secure enough to return. "Nowadays, suicide bombers are scaring people. People can't go anywhere without the fear that something bad will happen. but if we want peace we have to discuss this with our people – including the Taliban and mujahadeen, they are our Muslim brothers. "My message to the international community is: stop the war. We are tired of war. We do not want brothers killing brothers any more."